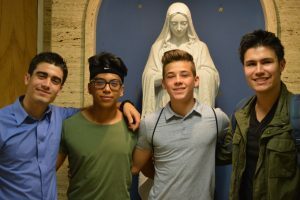 Returning enthusiastically and joy filled to Cathedral he shared his good news with Mr. Diaz and Father Fonti and several of his classmates, who met to take him to breakfast. 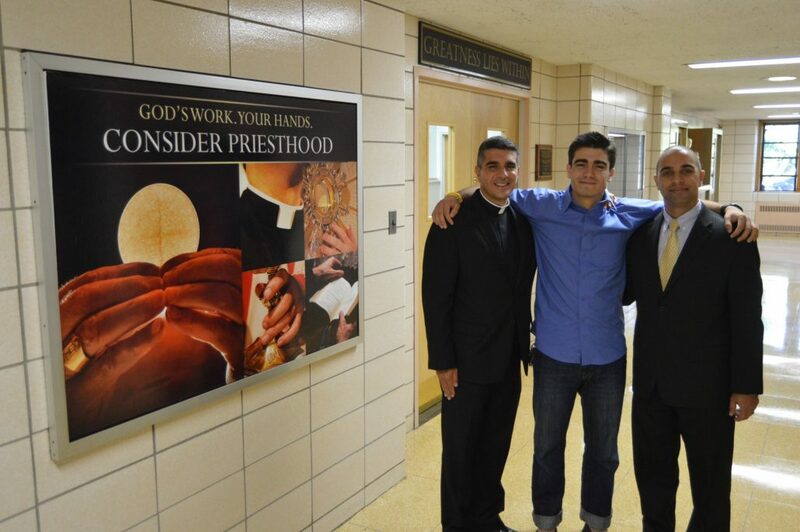 A member of the Neocatechumenal Way, Pedro has accepted their invitation to go to their seminary in Taiwan. As we continue to foster priestly vocations at Cathedral, we pledge our prayerful support to our brother. http://www.cathedralprep.org/wp-content/uploads/2016/09/DSC_0078.jpg 1362 2048 admin http://www.cathedralprep.org/wp-content/uploads/2016/07/LogoBlue-1.png admin2016-09-23 09:49:092016-09-23 09:53:40"Leave all things, and come and follow Me." Proud SJA students Kelvin and Enrique!